1 YRS Shenzhen Sanhe Hardware Trading Co., Ltd. Welcome to visit our Knife fork storage basket customized handicraft rattan basket , if you like ,kindly contact me! Professional workers with more tahn 7 years of experience Different team with different craftmen responsible for different items. We specialize in making outdoor&indoor rattan furniture, rattan creative stools, rattan flower pot, PE rattan pet bed, PE rattan storage baskets, bread basket, fruit baskets and so on. 1 YRS Dongguan Carehome Plastic Hardware Products Co., Ltd.
1 YRS Ningbo Wallson Grand Imp & Exp Co., Ltd.
3. 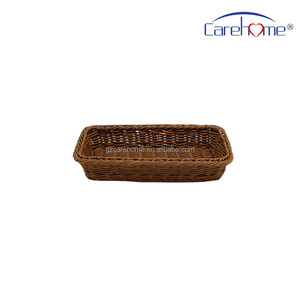 Plastic display basket is naturally mildew proof and fading resistant, better than natural rattan, wicker or willow. 4. We can made different colors and different styles as different needs. Also we are one of the biggest wholesalers in hotel and restaurant accessories for domestic market. 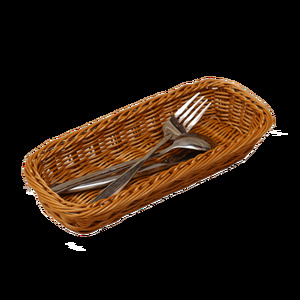 3 Our divided basket is a nice cutlery holder which can be used at home or in restaurant. The weaving products are green and environmental protection, and they are made of plant materials. 2) Our products are made of natural materials and environmental-friendly. Q1. What is your terms of packing9 A: Generally, we pack our goods in neutral white boxes and brown cartons. Q5. Can you produce according to the samples9 A: Yes, we can produce by your samples or technical drawings. Q6. What is your sample policy9 A: We can supply the sample , but the customers have to pay the sample cost and the courier cost. 2 YRS Linyi Zongyuan Arts And Crafts Co., Ltd.
Name forks and knives basket Pcs/ctn 100pcs N. W 90g Surface finish Chrome plating Dia/Wire 2.2mm Pcs/20GP 13333pcs Size of Pro. (3) Repeat Order: 20-25 days after receipt of prepayment. If you are interested in any of our products or would like to discuss a custom order,please feel free to contact us. If you believe you&rsquo;ve been waiting for too long, please contact us or your sales representative. 5.Q:How fast can I get the quotation9 A:We usually quote within 24 hours after we get your inquiry. Q: How long is your delivery time9 A: Generally it is 5-10 days if the goods are in stock. or it is 15-20 days if the goods are not in stock, it is according to quantity. Q: Do you provide samples 9 is it free or extra 9 A: Yes, we could offer the sample with some cost, and will be returned after your first order. PSW16010702 Item name Willow picnic basket sets Original place China Meterial Willow Size 45*34*18cm Logo customed color brown User picnic, homeuse Packing 1pcs/carton Production time 3-25days OEM service !!! 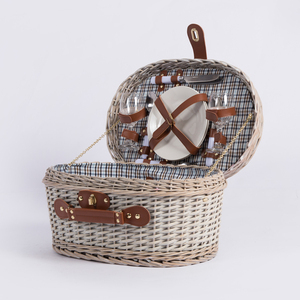 High quality Willow picnic basket sets , we can do custom for you, with your brand , logo, packing, welcome to inquiry! Contact: Sherry I will reply you in 24 hours, if not, please contact me by skype, what'sApp or call me, I will reply you timely, thanks for your kindly cooperation in advance! 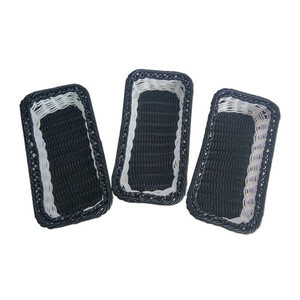 1 YRS Taizhou Lolomi Household Products Co., Ltd.
1 YRS Foshan Nanhai YongLiang Hotel Supplies Co., Ltd.
Alibaba.com offers 201 fork knife basket products. 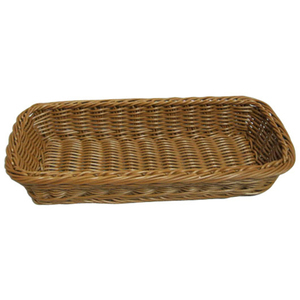 About 36% of these are storage baskets, 9% are storage boxes & bins, and 1% are wicker crafts. 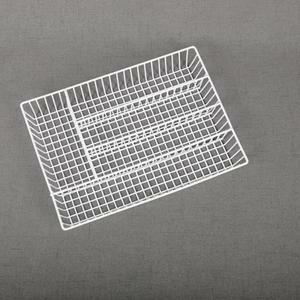 A wide variety of fork knife basket options are available to you, such as metal, wood, and plastic. You can also choose from eco-friendly, folding, and stocked. As well as from food, clothing. And whether fork knife basket is pe, or pp. 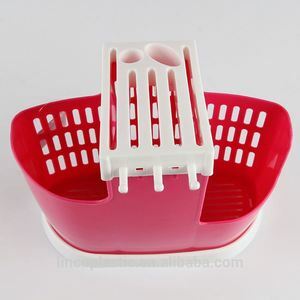 There are 201 fork knife basket suppliers, mainly located in Asia. The top supplying country is China (Mainland), which supply 100% of fork knife basket respectively. 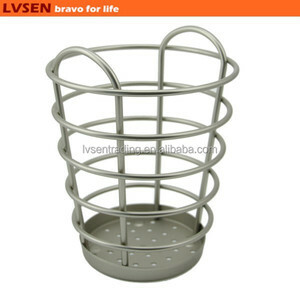 Fork knife basket products are most popular in North America, Western Europe, and South America. You can ensure product safety by selecting from certified suppliers, including 20 with ISO9001, 17 with Other, and 12 with BSCI certification.